Ever since I read a book on neuroscience I have routinely trained my mind. Mental abilities such as concentration, working memory and reaction time all need training if they are to aid athletic performance. The brain should be worked as much as the leg and arm muscles. There are a number of important choices every runner has to make during training and racing. These include when to run faster or slower, when to fuel or stop (due to injury), and even when to find motivation or become distracted. To ensure optimal decision-making your mind must be alert and rational, which requires energy and capacity. The more you train your mind the more efficient it will become. Practical numeric skills are also useful whilst running, including working out splits, predicting finishing times, and estimating the remaining miles of a race. The games can become addictive so I limit my sessions to between 10 minutes and half an hour daily. 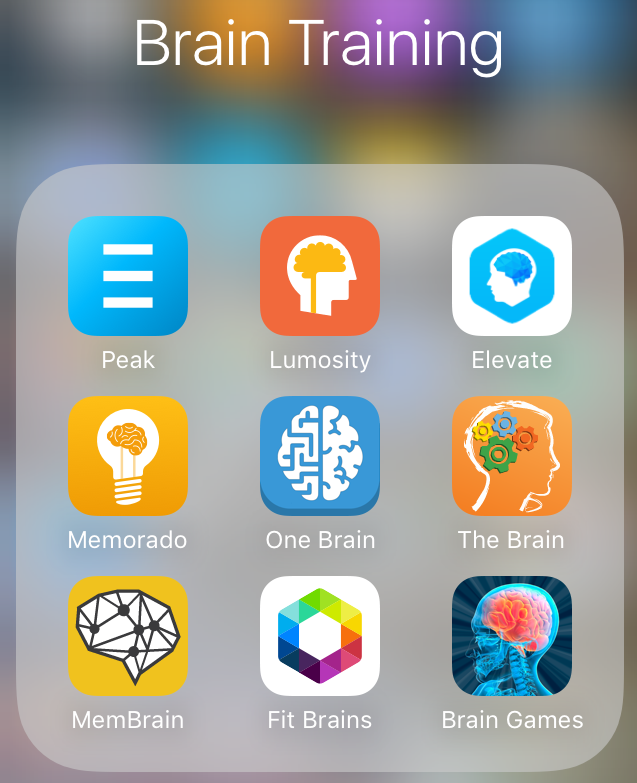 I also switch between a selection of apps to keep the challenges varied and enjoyable. I use free apps so the only investment I am making is my time. My subconscious need to improve and compete with previous scores ensures meaningful benchmarks. Consciously building mental strength is essential for mental health today and in the future, and provides a means to unwind from running.